There is an old and prophetic saying that “Nobody’s perfect”. Martin Truex Jr. and his Furniture Row Racing team proved that wrong Sunday and perhaps earned themselves a “Best Actor” Oscar nomination. 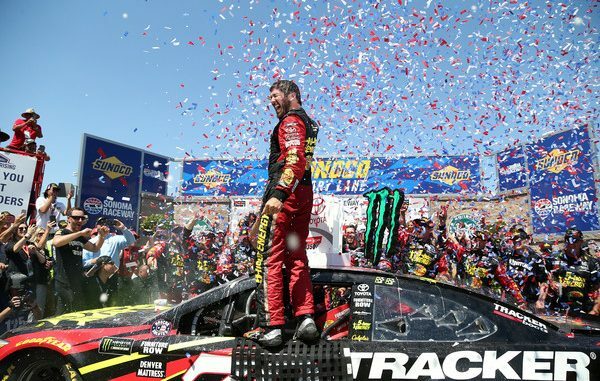 Playing off a perfect pit call, and playing the rest of the field, Truex cruised to victory Sunday in the Monster Energy NASCAR Cup Series Toyota Save Mart 350 at Sonoma Raceway. 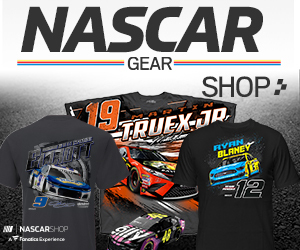 It was the third win of the season for Truex, his third on a road course and the 18th of his career. With varying strategies playing out as they normally do on a road course, near the halfway mark it appeared that Kevin Harvick was on his way to a second consecutive Sonoma win. Harvick would lead 35 laps on the day and was leading in the final stage. With everyone needing one more stop, on lap 73 Truex’s crew chief Cole Pearn called his driver in. The crew got up in the wall as if to prepare to pit the car. The move might have lured Harvick in who pitted. He waited until lap 80 to make his pit stop, and with much fresher tires was soon slicing into Harvick’s lead. By lap 88 he was 1.7 seconds back and regained the lead on lap 90. From there he began to pull away. Harvick would pit again bringing his Stewart-Haas Racing teammate Clint Bowyer with him on lap 92 and knowing that their only hope for a win from that point would be a caution in the final laps. After Harvick pitted, Truex had a lead over then second place Chase Elliott of 23 seconds. Harvick would eventually cut into the lead of Truex, taking second with 9 laps to go. He ran out of time however and with no cautions in the final laps Truex won by 11 seconds. Behind Harvick, Bowyer was able to secure third with Elliott and Kyle Busch completing the top 5. For Pearn, he said the pit stop feint wasn’t something they had planned. Polesitter Kyle Larson led only two laps and could only manage a 14th place finish. Perennial road course favorite AJ Allmendinger would take control early in the race and using pit strategy won Stage 1. He would blow an engine by a missed shift shortly after the restart after that stage and finished 37th. Jamie McMurray would also fall victim to a missed shift and end the day in the garage. Denny Hamlin won Stage 2 but led only 4 laps and finished 10th. In front of him Kurt Busch was sixth, Erik Jones seventh, Aric Almirola eighth and Alex Bowman ninth.